The electronics manufacturer is abandoning suburban Secaucus for a brand new, environmentally friendly building in downtown Newark. Jason Browning, tour manager for rock stars, hunts down bargains, schedules sleep, and hires greeters. Sometimes the best way to unlock shareholder value is to create new companies. 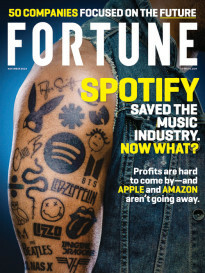 Here's a look at six Fortune 500 spinoffs and how they've performed since going solo. Should Bloomberg be afraid of Twitter? Social media analytics firms such as Dataminr are trying to take on Bloomberg in the race for fast-paced business news updates. So far, the country's top five banks have settled for a little more than $60 billion. Rakuten CEO Hiroshi Mikitani heads one of the oldest and largest e-commerce sites in the world. 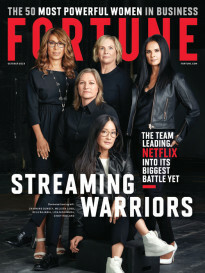 He stopped by Fortune to talk about its unique model, plans for expansion and its battle with Amazon in the global market. The unbelievable story of the two brothers who started Adidas and Puma and wound up bitter enemies.